Destiny, a video game in which players spend hours and hours dropping out of strike playlists, is still full of secrets. Today’s involves a little old place called the Vault of Glass. As we’ve all learned by now thanks to the Black Spindle, the developers at Bungie are putting all sorts of secrets and easter eggs in Destiny’s daily heroic missions—you know, the harder versions of regular story missions that rotate every day. Today’s daily heroic, a mission called Paradox that tasks players with revisiting the game’s first raid, is no exception, although the rewards aren’t nearly as cool. Turns out there are a few interesting things to find in Paradox today. There are three new ghost shells hidden in this version of the Vault. Discover them all and you can trigger a secret mission that concludes Praedyth’s story—and gets you his ghost shell. Redditor esoterickk made a handful of videos that show off how to get the hidden shells and trigger the new mission. First, here’s ghost shell #1, hidden on a secret path right around where you find the first chest when doing the raid. That one will get you this grimoire card. That one leads to this grimoire card. Shell #3 is near the jumping puzzle after you’ve beaten the boss of Paradox—don’t scan Praedyth’s body, though, or you’ll trigger the end of the mission and get kicked to space. And the third one gets you this grimoire card. 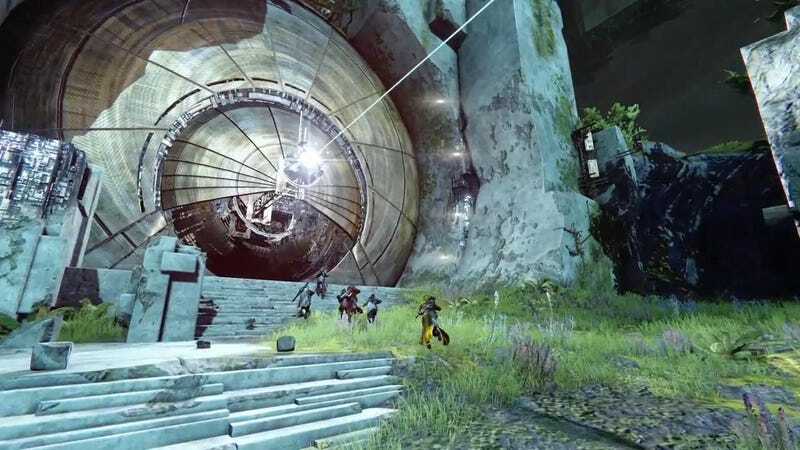 Once you get all three shells, you’ll open a doorway—the doorway people have been theorizing about since the Vault of Glass launched last September—that’ll take you to a battle with a bunch of Taken followed by a Blighted Descendant. Beat them and you’ll find a chest containing a “Cult Ghost” that Nolan North surmises must have belonged to Praedyth. Sadly, nobody’s found any cool new weapons or interesting quests related to this secret. You can bring Praedyth’s ghost shell to Lakshimi on the tower, but all you get for turning it in is a reputation boost. Maybe this is all part of some larger hidden quest that will lead to an exotic gun—where’s No Time To Explain?—but if it is, nobody’s solved it yet.